When is a confession not sufficient evidence for murder? 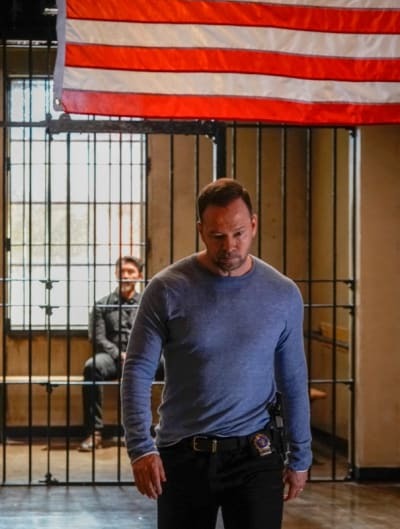 According to Blue Bloods Season 9 Episode 19, it's when the confessor was drunk and gloated about his crime to a cop out of earshot of anyone else. 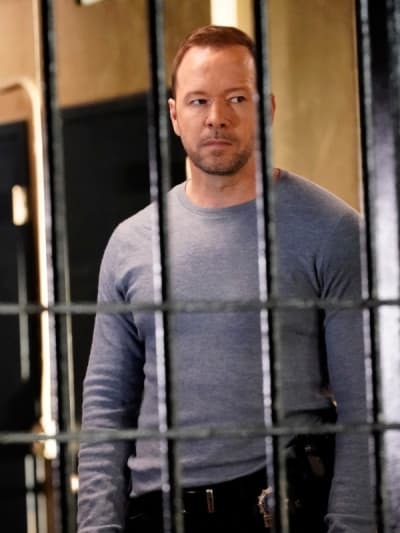 Blue Bloods has taken on legal issues surrounding confessions before, but this time Jamie was the one butting heads with Erin instead of defending her, making for a tense hour of drama! The Erin/Jamie story was supposed to take a back seat to the latest Delgado stuff, but it was the more interesting storyline of the two. Usually, Erin has to throw out confessions because Danny ignored the rules in his zeal to get the guy. Jamie being on the losing side of this argument was a new role for him. Related: Blue Bloods Fans Have a Reason to Celebrate! I don't blame Jamie for being angry. The guy not only confessed to murder, but implied he could come after Jamie too if he felt like it. Or maybe that was just me. Jamie never mentioned it. But it seemed that the perp's comment about "the last guy who crossed me got stabbed" was a veiled threat after Jamie arrested him. Anyway, it has to be frustrating to be a cop and see an obviously guilty suspect slip through your fingers. Especially when the DA in charge of the case is your sister and she throws all your legal knowledge back in your face to prove her point. Lawyer: Sergeant Reagan. Any relation? Jamie: Are you calling me a liar? Erin: I can handle this, Sergeant Reagan. As a former lawyer, Jamie should have known that drunken confession wasn't nearly enough to put the suspect away. Hell, as Danny's brother he should have known! Danny's been through this God knows how many times. And as Erin pointed out, Jamie usually points out that legally, Danny was wrong in such cases. But this time, Jamie was the one who erred on the side of relying on a technically-not-admissible confession that any decent defense attorney would try to suppress, and boy did he take it personally when that happened! In his defense, this wasn't just about this case. All season long, Jamie has been on the hot seat with one person or another. He and Eddie are always at odds at work, he's had to fight for his squad's respect, and now it seemed to him like Erin was undermining him. His fight with Erin was simply the last straw after a hard year of having to earn things like trust and respect, things that used to come naturally when he was the golden-boy patrol officer and Danny was the renegade cop who did everything wrong. Anthony: You were way out of line with your sister. Jamie: You were out of line now. Anthony: You think your sister wanted to let a murderer walk any more than you did? Jamie: Don't come into my precinct and school me on my sister. Permalink: Don't come into my precinct and school me on my sister. Anthony's attempts to smooth things over didn't go so well at first for that exact reason. Jamie again felt like his authority was being questioned and that he was being disrespected in the precinct he supposedly runs. I hope he gets over this fast, though. If he's going to keep at this leadership thing, he needs to let go of his golden-boy image and get used to the conflict that comes with the job, even within his own family. That's what this latest Delgado storyline was supposed to be about too: letting go. After Danny spent the better part of the hour working with a guy he totally doesn't trust, only to have to decide whether or not to kill Linda's killer, his psychic friend told him it was time to let go of Linda. Danny's removing his wedding ring was emotional! I'd rather he'd come to this conclusion on his own and explained it to Sean as he removed the ring, though. DEA: You might be able to get us a bigger fish. Danny: So that means you're gonna make some deal with Delgado? DEA: Let's see what he says first. Danny: Like about who killed his wife? DEA: Like about who killed yours. Permalink: Like about who killed yours. Going to the psychic made no sense. He doesn't have any use for her, so why visit? I also hope that this story means that we've seen the last of Luis Delgado! Blue Bloods is just less enjoyable when he's on. It's the same thing every time. 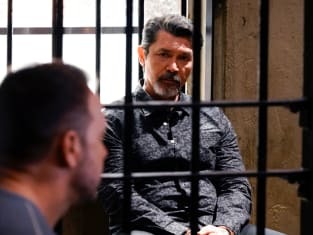 Danny always fights with some DEA agent who wants to use Delgado as a confidential informant instead of letting him rot in prison, then ends up working with him. Plus, Delgado is a larger-than-life villain that is always escaping death and getting away from the cops after his mission is over. That works better in a soap opera than in a serious procedural like Blue Bloods. 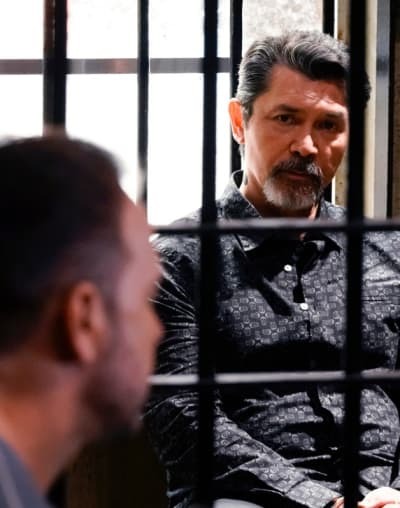 This time, Delgado FINALLY went to jail, so maybe this story was meant to wrap up all the loose ends around Linda's death and Danny's strange relationship with this crime boss. I'm confused about whether Delgado had any role in Linda's death, but whatever. If this means we're rid of him I'm happy. Lena: I don't want to shame her anymore. Frank: Fighting back isn't shaming anyone. Lena: You would think that. You're a Reagan! You don't know what it's like to have to compete with your family. Frank: Maybe the mistake is thinking you have to. Permalink: Maybe the mistake is thinking you have to. Eddie's mom looked like she was going to be an irritating source of comic relief. Frank doesn't often get light-hearted stories, though, so I should have known there was something more to it as soon as she entered Frank's office. Frank did what only Frank could: he got through to the woman and helped her see that running away from her past wasn't doing anyone any favors, including Eddie! I bet he regretted telling her his full name is Francis, though. Now she'll never call him Frank no matter what! Your turn, Blue Bloods Fanatics! What did you think of "Common Enemies"? Do you hope this was the last chapter in the Delgado story? And exactly how annoying was Lena Janko? Watch Blue Bloods online and then jump into the comments with your thoughts! Blue Bloods continues to air on CBS on Fridays at 10 PM EST/PST. Frank: Since when do you have a problem setting the record straight? Garett: Since the woman in the question is going to be your sister. Sid: It's Eddie Janko's mother. Permalink: It's Eddie Janko's mother. I got a lawyer who makes more in a day than you do in a year, so I don't have to tell you anything.